You can use both trains and buses! It is sightseeing in greedy Kamakura day trip with advantageous ticket "Kamakura free environment bill"! Here is a list of routes I took this time. At first let's purchase "Kamakura free environmental bill"! There are three sales locations for "Kamakura Free Environment Bills": Kita Kamakura, Kamakura and Hase. The fee for the “Kamakura Free Environment Bill (aka Yoritomo Ticket)” is 570 yen for adults and 290 yen for children. 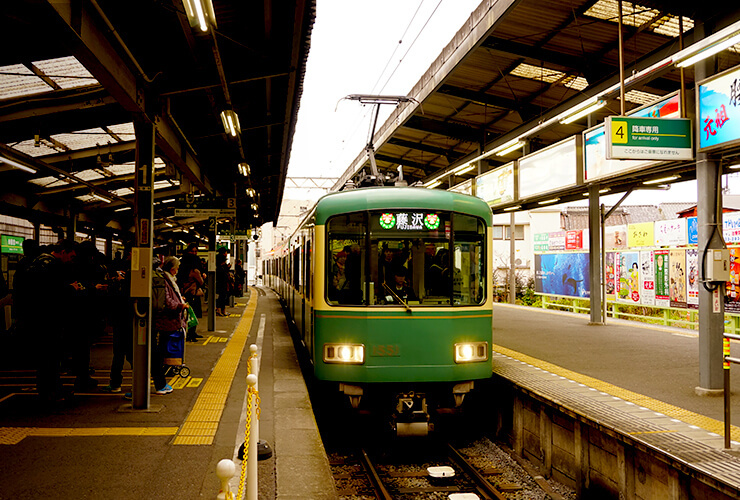 The route we recommend this time starts from Kita Kamakura Station, so let's go get a ticket when you get off the station. 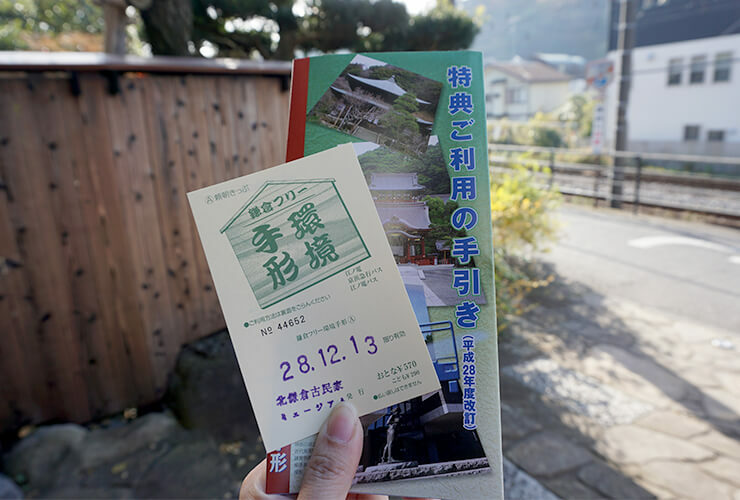 The ticket sales locations in the Kita Kamakura area are "Antakuji's Shop" and "Kita Kamakura Ancient Folk Museum". If you want to start early at 10 o'clock, you can buy at Engakuji and take a walk through the grounds. To buy a ticket in North Kamakura old house museum in this trip, first went on foot to the famous temple "Meigetsuin (Meigetsuin)" in hydrangea. ※ It is a flat road from Kita Kamakura Station to Meitsuki-inAbout 10 minutes. However, if you walk on the prefectural road side, there are many cars and a narrow road, so it is safer and safer to walk the road on the left side of the track towards Kamakura. Speaking of Meizuki-in, the hydrangea of the Sanmon is famous, but it is natural that I visited in December. However, there was a lot of awareness only in winter, such as the soft dents on the stone steps that felt long years. We enjoyed the last autumn leaves from the famous round window. Also known as the window of enlightenment, it seems to symbolize the universe in this circle. A squirrel runs in the precinct, a cat takes a nap, a bird's hive and a rabbit hut are set up, and you can enjoy the lovely appearance of a small animal. In addition, winter clothes of wool are worn in Jizo statues etc. which are dotted on the site, and atmosphere was very kind and lovely, and it was such a temple where heart was warmed up. Access: 10 minutes on foot from JR Yokosuka Line "Kitamakura Station"
You will see the crossing when you return to the road from Meigetsu-in. There is a bus stop (Enoden bus) "Mingetsuin" at the place where we went there and went along the prefectural road a little to the right. From there, take the bus for Kamakura Station and go to Tsuruoka Hachimangu Shrine next time. If you have a ticket, it is convenient because you do not have to look for worry or change of the balance of the IC card! Get off at "Kamakura Hachimangumae". 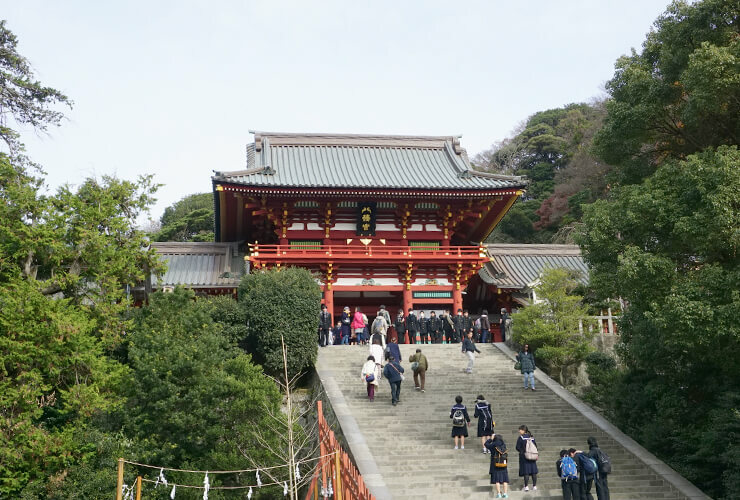 This is a shrine about the Minshuku Yoritomo that opened the Kamakura Shogunate, so if you want to go sightseeing in Kamakura, you can not miss it! Looking up the stairs to the main hall and looking back, you can see the straight approach to Yuigahama and it is spacious and fresh. In the precinct there is a large pond called Genpei Pond where you can enjoy cherry blossoms, wisteria, lotus, autumn leaves and seasonal landscapes, and in winter you can see many migratory birds. From the beginning of the year to the beginning of February, you can enjoy over 100 varieties of winter peony in the Kotobobotan Garden. By the way, from Hachimangu-mae, take a Keikyu bus and head for Jyoyoji. The east side of Kamakura with Kamakura-gu, Sugimoto-ji, Jyoyoji-ji, and Bokoku-ji is an area that is difficult to reach on foot, as it is a distance from the station. However, if you go to the front of each entrance bus, this "Kamakura free environment bill" will be very useful! So I went to this area this time. First of all, head to Jyonyoji (note: the name of the bus stop is Jyogenji). Take the Keikyu Bus to Otorai, Kanazawa Hakkei, and Highland. ※ We are not included in this route, but please go to "Otonomiya" bus when going to Kamakura palace. 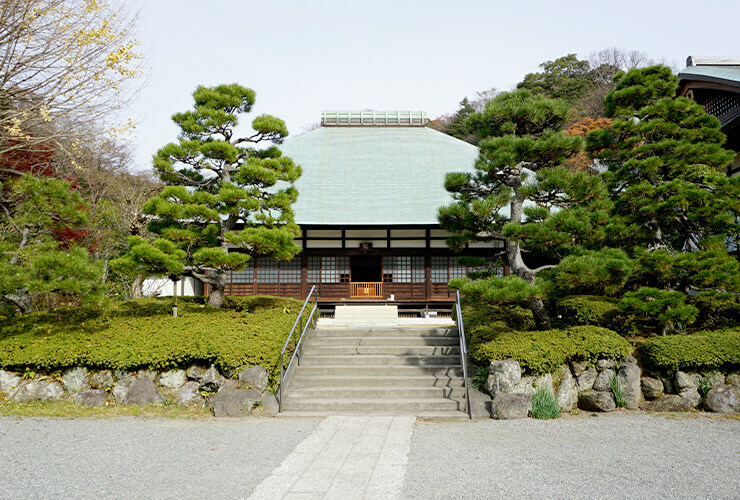 Jyomyoji, one of Kamakura Gozan, is a temple that has the appearance of a samurai in that it is Ashida's Bodhi Temple. There is a slightly famous one house restaurant in the precinct here. A restaurant called "Ishikasa Garden Terrace", recommended is a delicious dish using baked bread and Kamakura vegetables, which is a very popular restaurant among Kamakura madams. If the weather is fine, I would recommend a terrace seat. How about an elegant lunch time while enjoying the scenery where you can see the seasonal flowers and Mt. ※ At Jyomyoji, you can get a "postcard" by showing the "Kamakura free environment bill" ticket. Access: From Kamakura Station, a 5-minute walk from Keikyu Bus "Jyomyoji"
Opening hours: 10:00 to 17:00 * Information on food and drinks is subject to change depending on the season. After lunch, I will return to the bus street and then go to the opposite Bokoku-ji Temple. 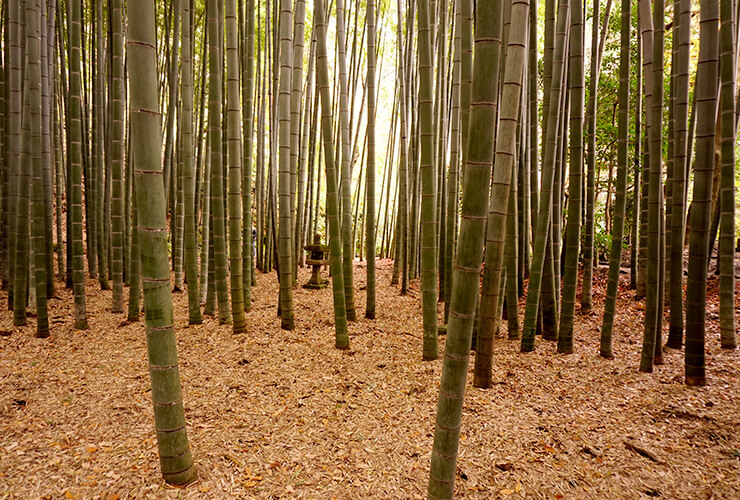 This is a temple famous for its bamboo forest, so you can enjoy the garden even in winter regardless of the season. The bamboo forest spreads behind the main hall. 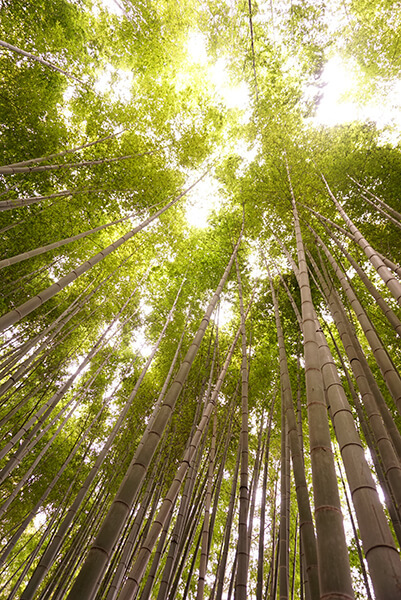 It is thought that this spine stretches a pin when looking at what the scenery of bamboo more than 1000 trees which were fresh and straight overgrown. You can have a cup of delicious green tea in the tranquility, and if you are lost in thought while looking at the swaying bamboo grove, it seems that time goes by in no time. There are many oysters in the grounds and many Olympic towers. There was also a samurai (Yagura) in the precincts of Meigetsu-in, which I visited first. Many of the temples in the temples and shrines of Kamakura are medieval tombs, surrounded by mountains on three sides, and deep valleysThis feature is unique to Kamakura's land, which is dotted with many "Tanito". ※ At Shogokuji, you can receive the “Origin of the temple” by showing the “Kamakura free environment bill” ticket. Access: From Kamakura Station, a 3-minute walk from Keikyu Bus "Jyomyoji"
※ The bus between Jyomyoji Kamakura Station runs at intervals of about 10 minutes during the daytime. Once you get to Kamakura Station, you will get on Enoden next. Enoden's free pass area is to Hase Station. 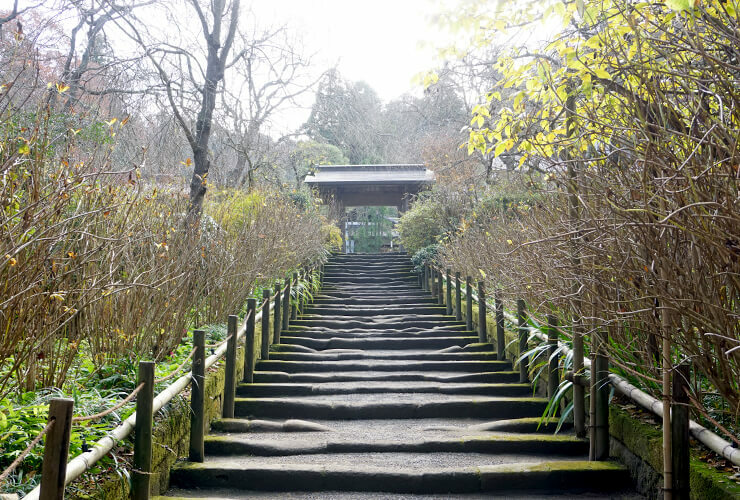 There are many wonderful spots unique to Kamakura in the Hase area. Let's go right now! First of all, go to Haseji Temple which is famous for its hydrangea. It is a popular temple that there is an admission restriction for the season of hydrangea. But not only hydrangeaThis attraction is Kannon Hase after all. It's bigger than expected, beautiful and overwhelmed. Thank you for your consideration. In addition, there is a museum called "Kannon Museum" in the precinct, and treasures such as the eleven-sided statue of Kannon and the 33rd century statue are displayed. You can also see the reason of the temple in a 5-minute movie introducing Hase-dera. 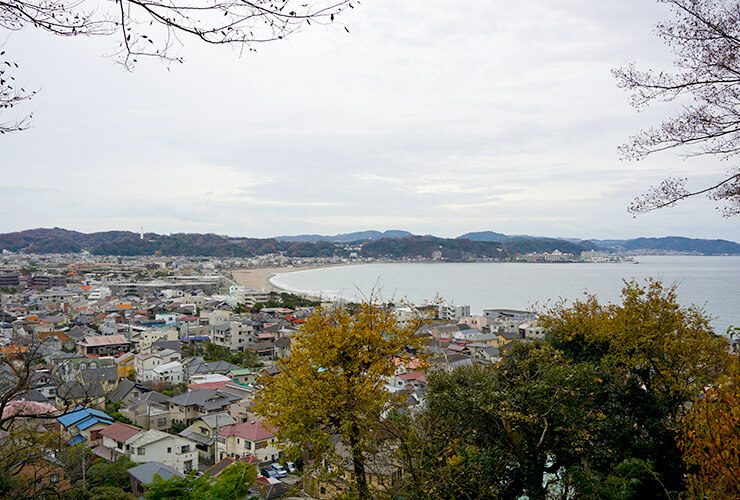 In the area where the Kanon-do is located, there is a view stand where you can see the city and the sea in Kamakura, and it is a beautiful scenery. You can overlook the beautiful coastline of Yuigahama. The stairs are a bit tight, but I would like you to see this scenery directly! That's excellent. In addition, there are a few lovely Buddhas all over the precinct in Hase-dera, which makes you feel at ease. Furthermore, there is a cave called "Bentan Caves", but here is a bit exciting like a dungeon search. When you get in a little while leaning inside, the inside is pretty wide like a maze. The figures of Buddha floating in the candlelight are very mysterious. Ajisai's season is good, but it is airy in winter and you can see the scenery far, so you can calm down and take a walk as there are few people! 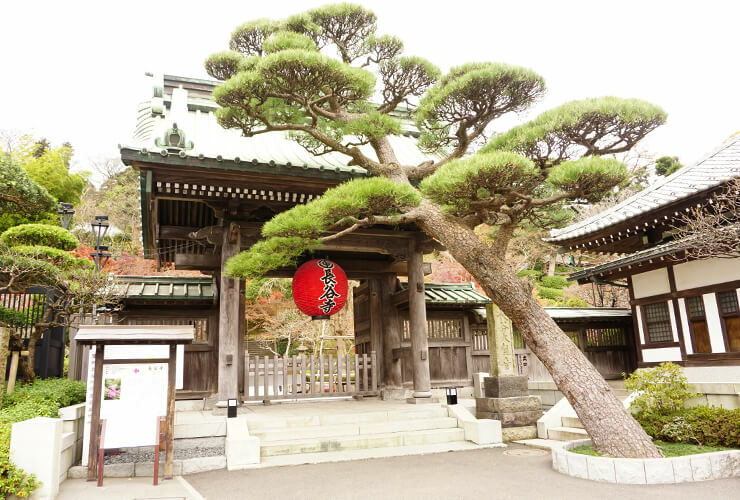 ※ In Hase-dera, you can receive a commemorative item by showing the "Kamakura free environment bill" ticket. Access: A 5-minute walk from Enoshima Electric Railway "Haseya Station"
By the way, the end of advantageous Kamakura sightseeing trip using "Kamakura free environment bill" is "Big Buddha"! It is about five minutes on foot from Hase-dera temple. There are also many souvenir shops on the way, and you can walk while enjoying yourself. It is a temple called "Kotokuin" where there is a large Buddha. You can see the figure as soon as you go through the gate. Big Buddha of Kamakura who thinks, "It's big! Was it so big?" Every time it comes. I was stunned again on this day. By the way, do you know that the Great Buddha of Kamakura will be put in the middle (in the womb)? There is a wing-like window on the back and light enters from there, so the inside is not so dark. Looking at the inside of the Great Buddha, it is easy to understand how to connect each part and make it, which is quite interesting. ※ In Kotoku-in, you can get "Origin Mark" by showing the "Kamakura Free Environment Bill". Access: 7 minutes on foot from Enoshima Electric Railway "Haseya Station"
By the way, I want to buy souvenirs as well! There are many famous souvenirs from Kamakura such as pigeons sable and pillow clasters, but here is the one you want to recommend this time! It is "Kurumikko" of Kamakura Kotani. It is sweets that won the Kanagawa Prefectural Finest Confectionery Confectionery Competition Grand Prize. The package is doubled and fancy and cute. It is packed with walnuts and caramel, but it is not heavy and too sweet. It's perfect for souvenirs for friends and work. There are several stores in Kamakura city. This time, I stopped by the Hase store on the way from Hase-dera Temple to Kamakura Daibutsu. 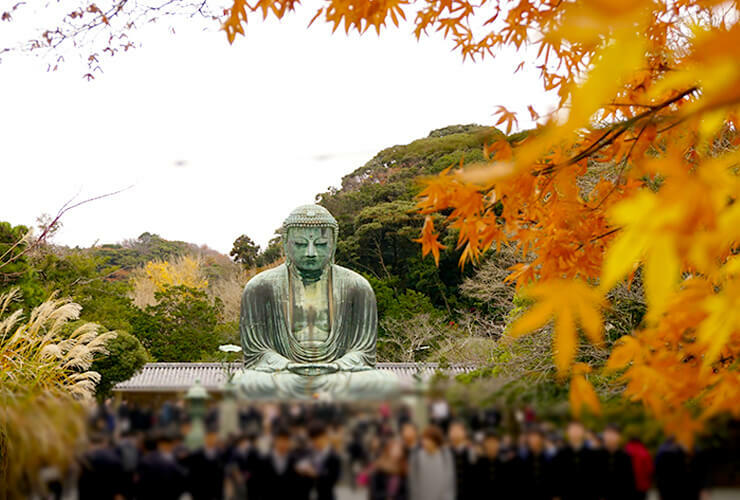 That is why Kamakura 1-day sightseeing using the "Kamakura free environment bill" ends here. Return to Kamakura Station by Enoden. It was time to take this sightseeing route, but we started Kita Kamakura at 10 am and returned to Kamakura Station at half past 16 pm. 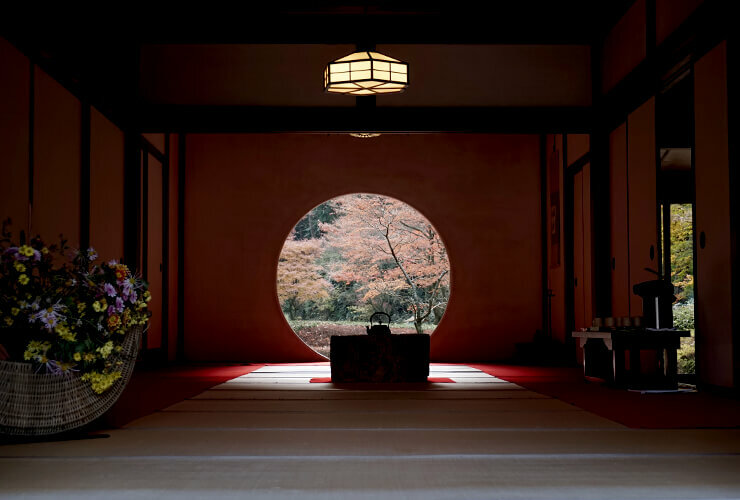 You may go ahead a little further to get a quick start time and explore the Kita Kamakura area, or you may go around the Gorei Shrine or the Kamakura Bunkakan in the Hase area. Since travel time can be considerably reduced by taking a bus, it was a good free pass for visiting tourist spots in Kamakura!